It depends not only on medical diagnoses how tooth malpositions are treated, but also on the individual life circumstances of the affected person. We help you to make the right decision with careful advice. Heike Drechsler is a specialist in orthodontics. 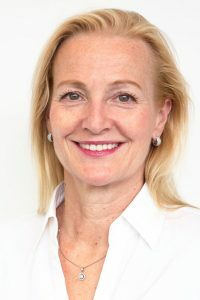 Her main focus is the early treatment of tooth and jaw malpositions in children between 5-9 years, as well as the treatment of tooth malpositions of adult patients with almost invisible plastic splints (“Invisialign”). The timely recognition and elimination of orthodontic malfunctions and maldevelopments is the basis of the treatment of children. From the age of six, we can discuss with you the extent to which action is needed. We then use the natural growth of the jaw with removable braces to gently guide the teeth in the right direction. At no later date is tooth correction as easy as in childhood. Aesthetic demands play a major role in adult patients during treatment. Optical impairments caused by conventional braces or the dreaded extraction of healthy teeth are a thing of the past. In addition to correction using internal lingual braces, we mainly correct adult patients’ teeth with removable, transparent miniplast/plastic splints (Invisalign), which are changed every seven to 14 days. Invisalign® is an innovative product of Align Technology BV, Amsterdam. The so-called aligners made of transparent plastic can be used to treat a wide variety of tooth misalignments. The plastic tray can be removed for optimum oral hygiene. You can eat and drink without restrictions. An aligner does not come alone: it is a set of transparent plastic rails, without metal or wires. The goal of the treatment is first defined on the computer in a 3-dimensional representation and divided into individual treatment phases. An individual aligner splint is then produced for each of these phases, which is worn for about two weeks. During this time your teeth are continuously moved in the previously calculated direction with gentle pressure. Then switch to the next rail from the set. 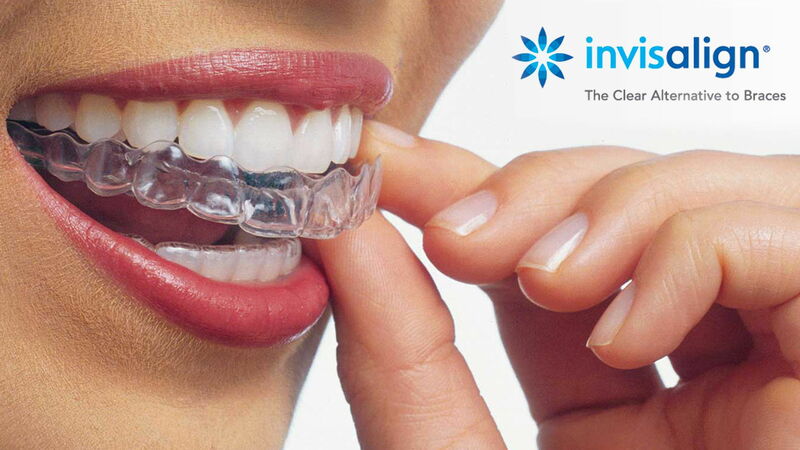 We will be happy to advise you whether Invisalign® is the right choice for you.